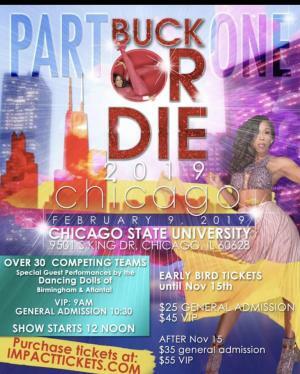 Tickets for Buck Or Die CHICAGO Admission in Chicago from Impact Tickets, LLC. 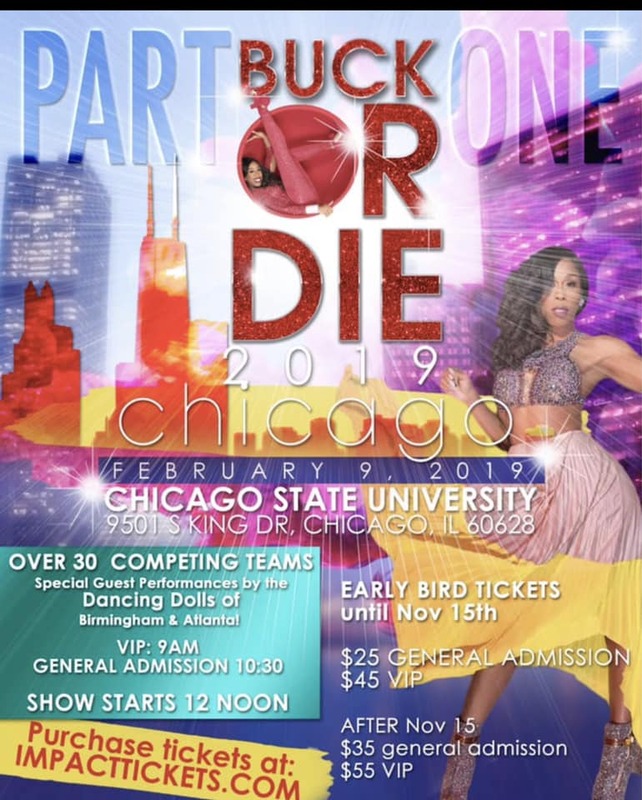 Buck or Die is the hottest Dance Competition to hit the majorette scene! Hosted by owner Dianna Williams of Lifetimes show BRING IT! This event features the hottest dance teams in the world! Special guest performances by Dancing Dolls of Birmingham & Dancing Dolls of Atlanta! Be sure to get those VIP LIMMITED tickets to meet Coach D and have your photo taken! See you in Chicago and get ready for the time of your life!